“Muramoto Tent” began in 1911 as a harness maker. The company then expanded into canvas manufacturing for trucks and boats. About 20 years ago, the previous owner began creating canvas bags. Muramoto Go is currently the fourth generation in the business. As you walk around Iwanai town, you can see the traces of past prosperity. 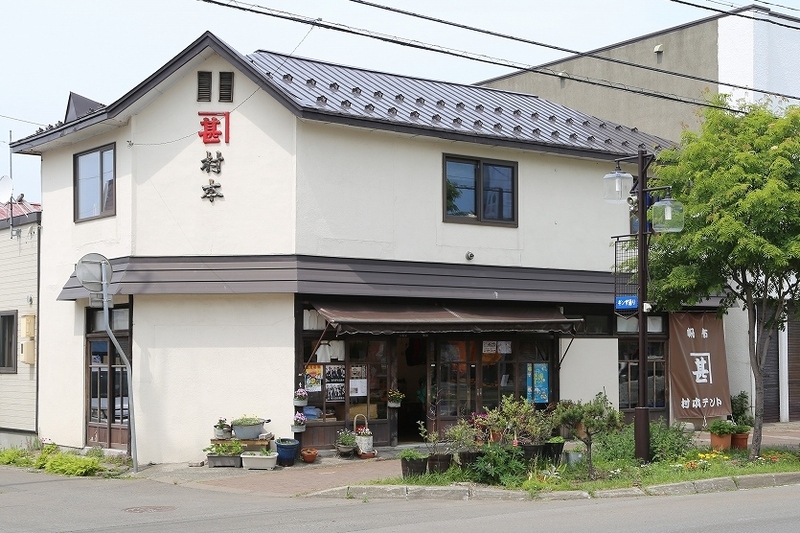 The Iwanai local museum specializes in the history of the town, which flourished as a mining and fishing town. 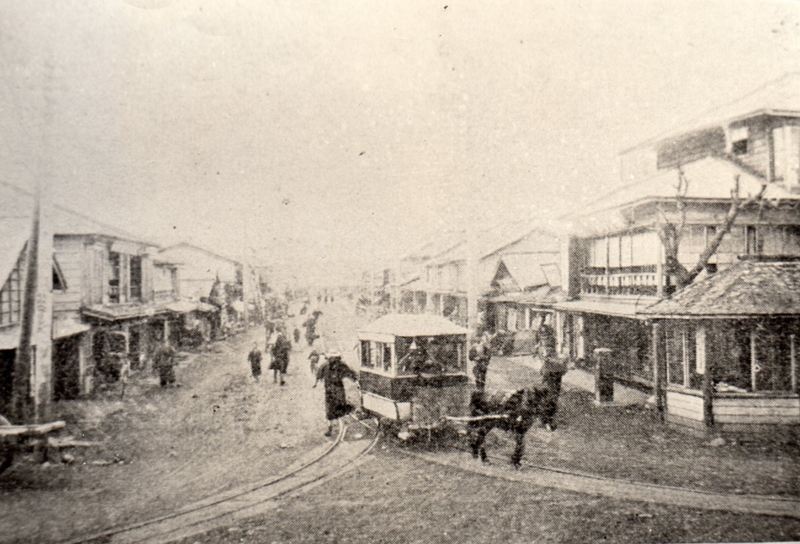 In the early 1900s, a second horse tramway and first hydroelectric power plant in Hokkaido were established. 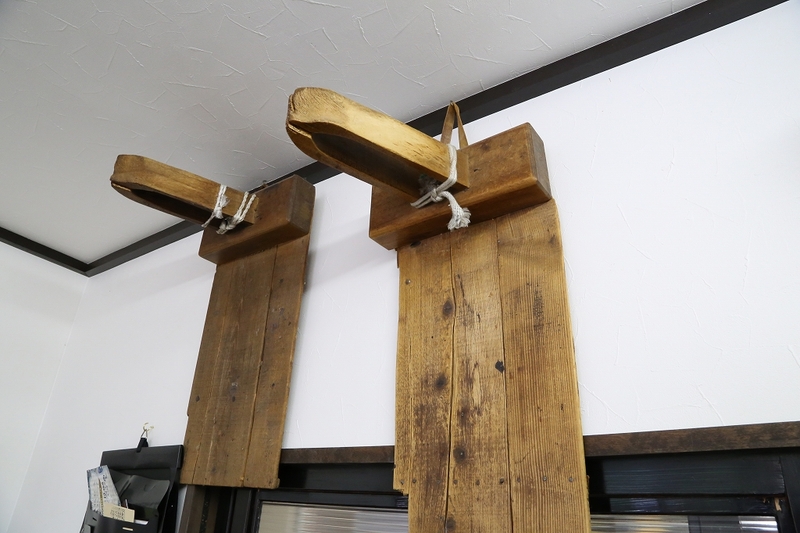 When Muramoto Jintaro first founded the shop, people still relied on literal horse power. So he began making horse saddles. The shop’s second owner and his brother made harnesses and shoes together. Before long, the age of trucks for transportation came along, so they began producing goods for trucks and boats. 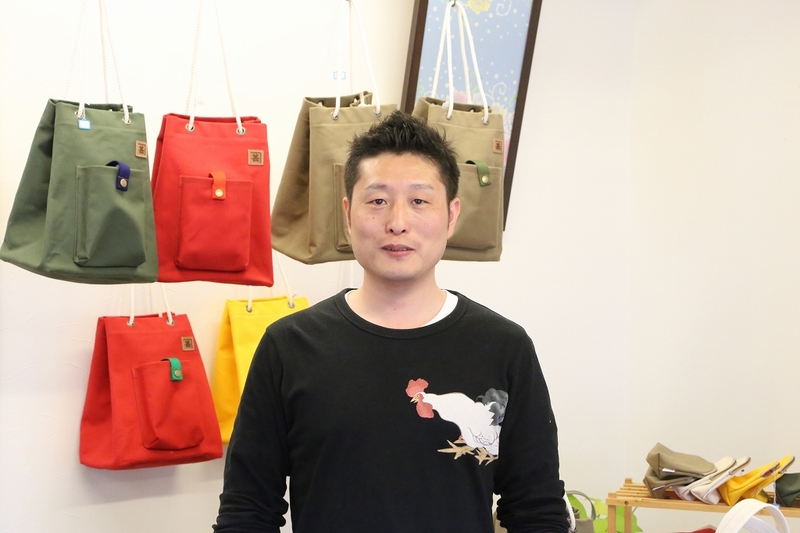 Go took over the shop from his father, and started making the bags with the canvas. Tools of the period, which were used to making harnesses for agricultural use. 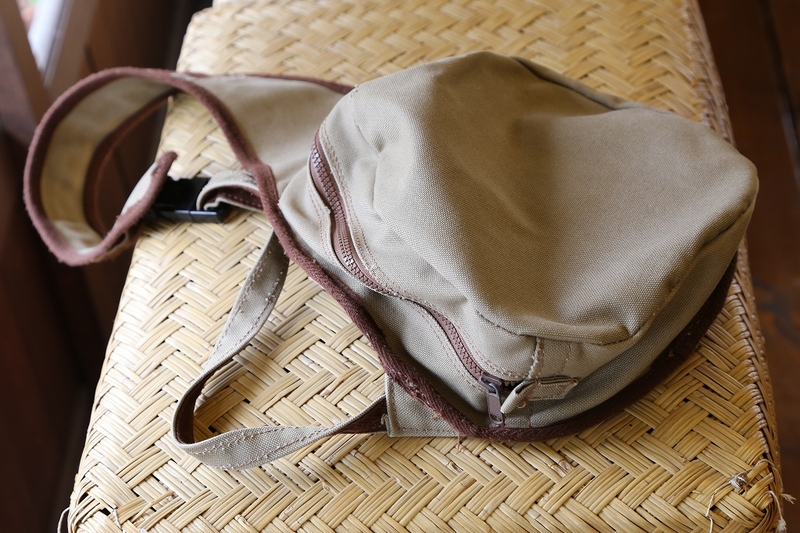 Sansai rucksack made from fabric for trucks since his grandfather’s day. 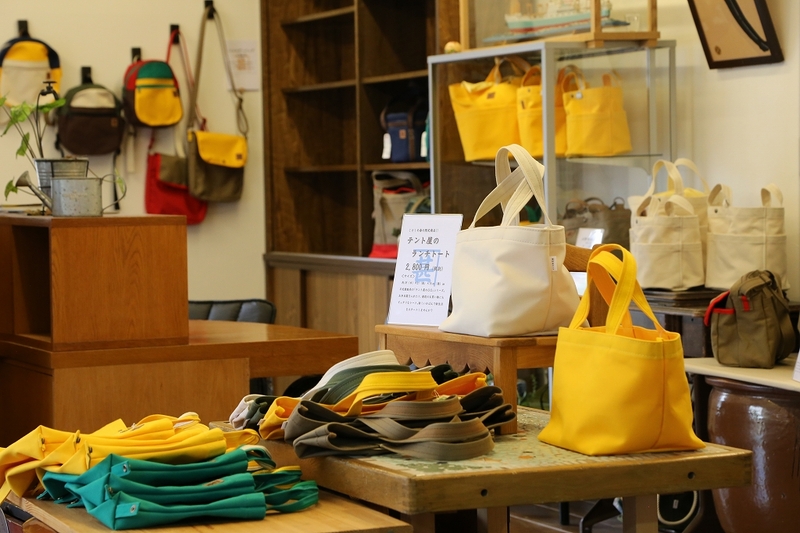 The reason Go’s father Kenji started making bags out of canvas was his meeting a high-school teacher from Iwanai, Shigenari. 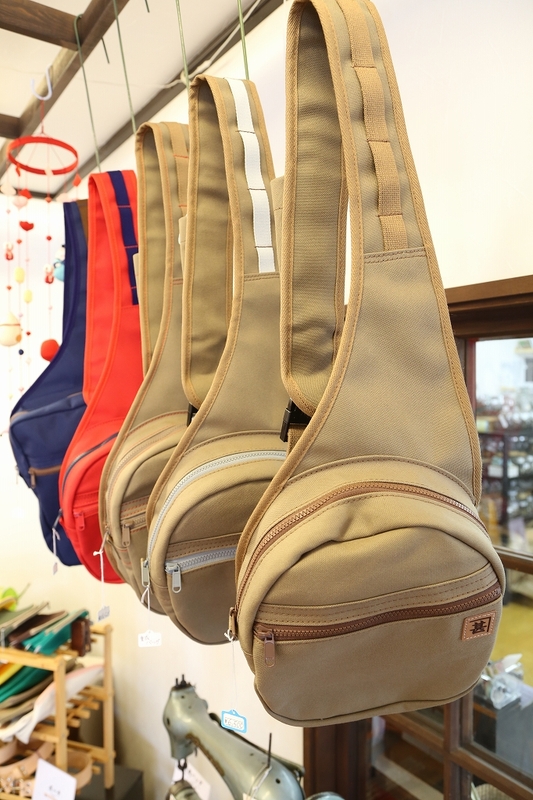 Shigenari wanted a shoulder bag similar to his favorite bag. 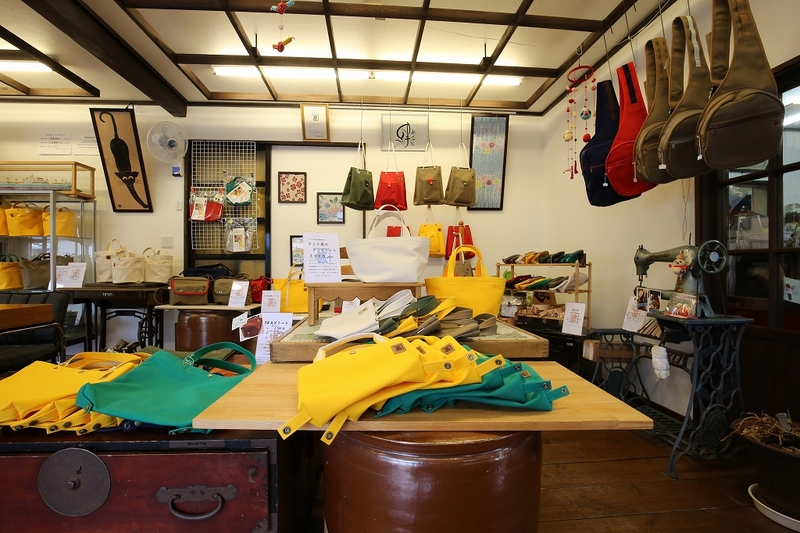 The finished bag was completed according to Shigenari’s personal preferences and soon became a staple product, the “Shigenari Bag.” Everywhere Shigenari went, news of his easy to use and durable bag spread. As a bag from a tent manufacturer, strength is important. Hoping to share the attractiveness of the region. Muramoto tent receives orders from all over the country. Many orders are requests for things like a somewhat longer shoulder bag, or a bag in this color. Orders which are specifically adjusted to the preferences of the customer are common. About 10 orders are accepted in a month and there is a waiting list of about a year. 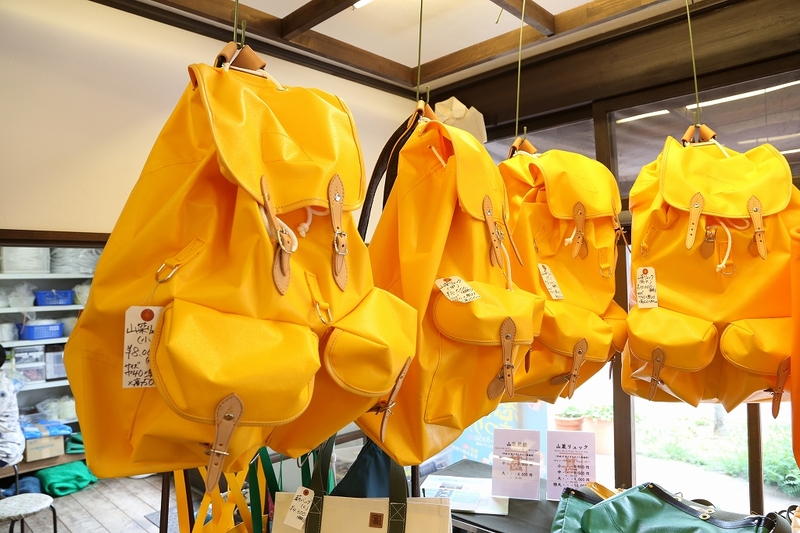 Eye-catching canvas bags are displayed. Go hopes to share the attractiveness of Iwanai town. The town is only 2 hours from Sapporo. Surrounded by the ocean and mountains, many delicious Sushi restaurants are in the town. Go participates in activities and tours connected to sightseeing spots in the region.